Minnesotans in the northern and northeastern parts of the state have endless miles of state and federal forests as well as other public areas on which to pursue grouse, woodcock and ducks. Hunters need to be careful, though, as it’s pretty easy to get “turned around” up there in the big woods. In the southern and southwestern parts of the state, however, public-land hunters who wish to flush pheasants or jump puddle ducks rely on federal Waterfowl Production Areas (WPAs) and state Wildlife Management Areas (WMAs). In the nine southwestern counties only 2.1 percent of the land is public, and that small land base is broken into 440 isolated management units. It’s hard to get lost out there; in fact, it’s hard to get out of sight of the truck. With so little public land in the southwest, the Conservation Reserve Program (CRP) has been the focus of much of the hunting. Unfortunately, in the past decade these nine counties have lost almost 49 square miles of CRP. And an additional 52 square miles of CRP contracts will have expired by the end of this year. While CRP makes great wildlife habitat, it is private land. In the past it was simply a matter of knocking on a few doors to get permission to hunt. Today fewer landowners live near their farms, so sportsmen traveling from any distance can find it confusing and frustrating to try to get permission. The Voluntary Public Access-Habitat Improvement Program (VPA-HIP) is administered by the Natural Resources Conservation Service. Like CRP, it is a program in the Conservation Title of the Farm Bill. VPA-HIP funds state-sponsored programs that provide public access on private lands. 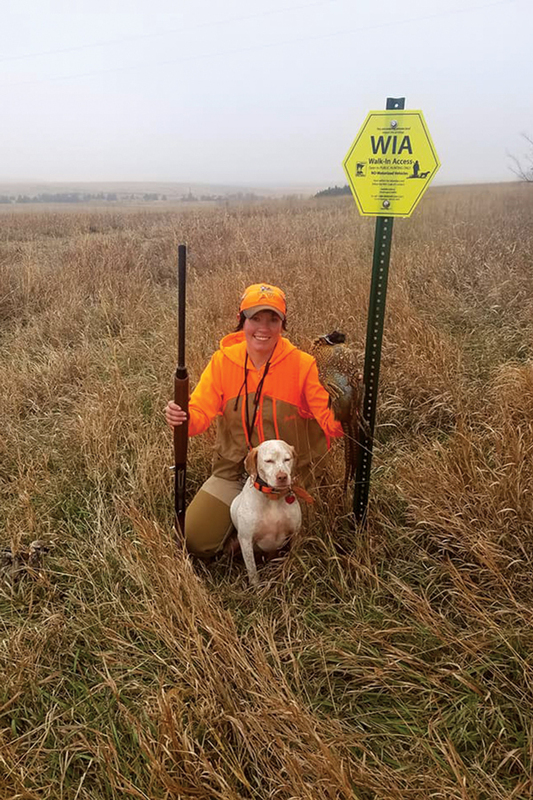 In Minnesota the program is known as Walk-In Access (WIA), and landowners are paid to open their land—often CRP fields—to the public. Sportsmen can access these lands without asking permission for a small fee added to their hunting license. The locations of these parcels are shown on maps, websites and mobile apps, making them easy to find. Although only a few years old, the program has grown to more than 26,000 acres. Over a third of the acres are in Minnesota’s nine southwestern counties. This program provides multiple benefits to landowners, including covering their liability if someone gets injured on their land. 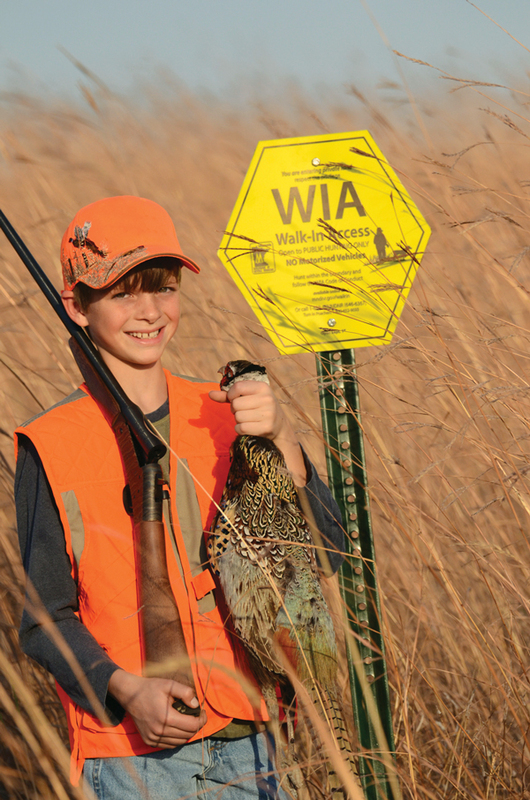 The WIA payments—in addition to the CRP payments—make those acres even more valuable. Landowners are paid a flat fee per acre with bonuses for large holdings, longer contracts and adjacency to other public lands. One of the biggest benefits for landowners is the HIP part of VPA-HIP. It assists in paying for habitat improvement projects such as prescribed burns, tree removal and invasive-species control. Better habitat on private land means more wildlife, including game. Initially the program focused on pheasants. 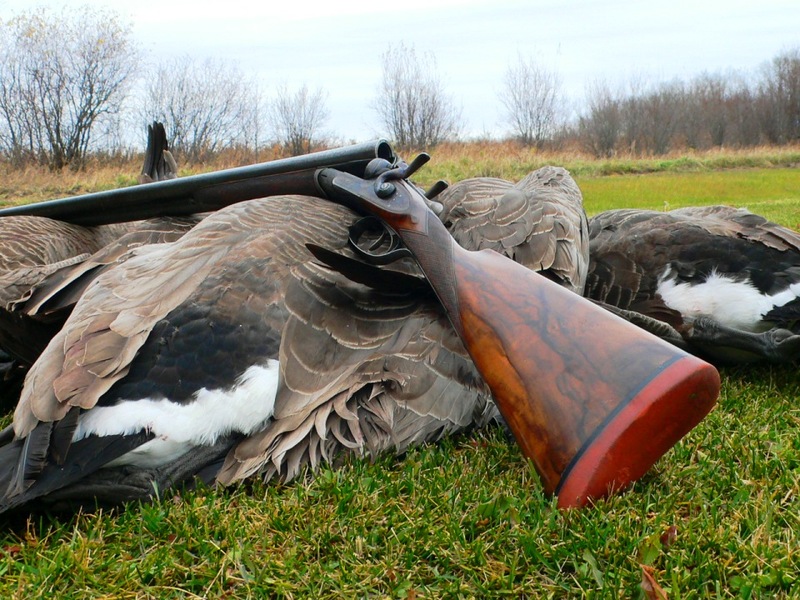 But in many places Minnesota hunters are using these acres for waterfowl, turkeys and doves.